Divorce is often a difficult process for all parties involved, but especially so when there are children to consider. Both spouses certainly want the best for their offspring, and this involves ensuring that they receive all the care they need until they reach an age when they can care for themselves. No two families are alike, so each child support agreement is unique. Furthermore, every state has its own laws as to how child support is calculated. In the state of Virginia, there is a standard schedule that is used to determine the amount of child support you will pay or receive. Some factors that affect this are the combined monthly income of both parents as well as how many children from the marriage need support. Child support covers the cost of living for your children. Each payment is one parent’s share of the total expenses needed to provide proper care for the kids. This can involve education, medical care, dental care, child care expenses, and even special costs such as long distance transportation expenses. Can a child support order be modified? Sudden changes to your financial situation, such as loss of employment, can render you unable to pay court-ordered child support payments. Your first step can be reaching out to your former spouse to find out if they are amenable to modifying the current child support terms. If an agreement is not possible, you may ask a court to lower your monthly support order based on your changed living situation. These are just some of the most common issue that divorcing parents wonder about when it comes to child support. 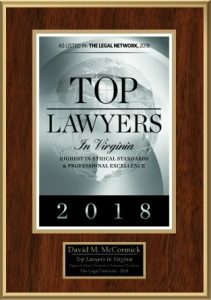 Since all children and families are unique, seek the help of a family law attorney in Virginia Beach to have all of your concerns fully addressed.